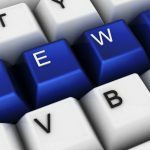 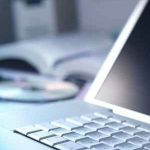 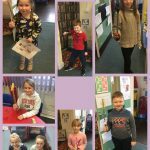 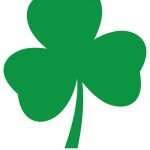 Language, Literacy and Communication Skills. 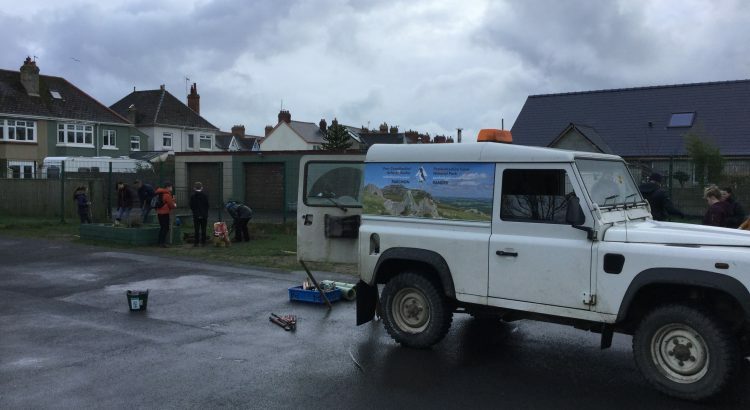 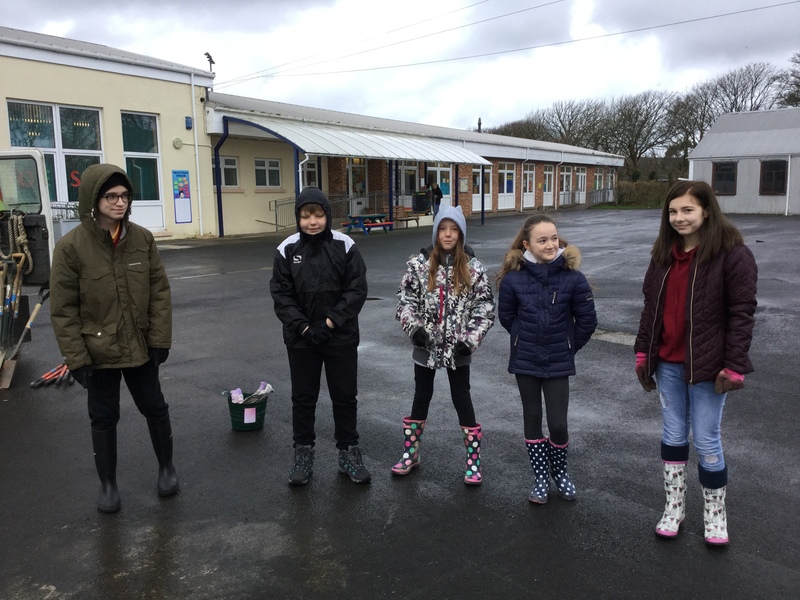 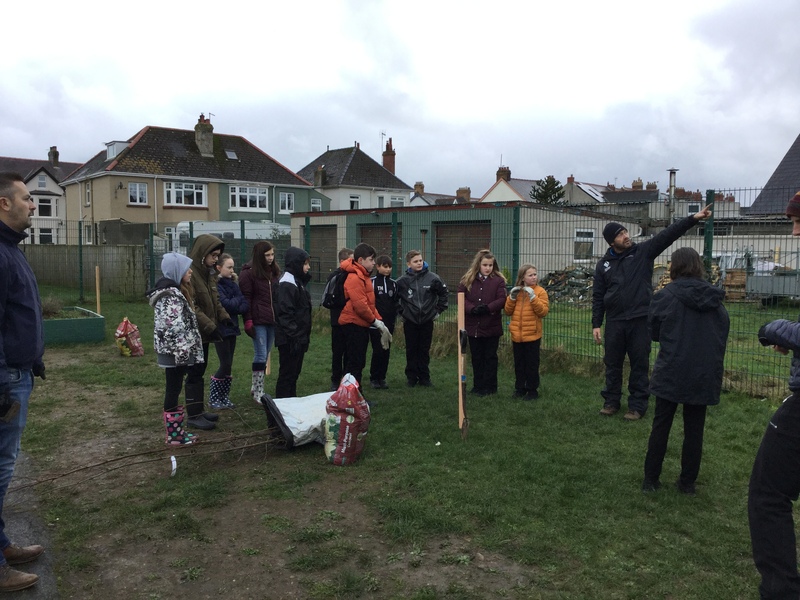 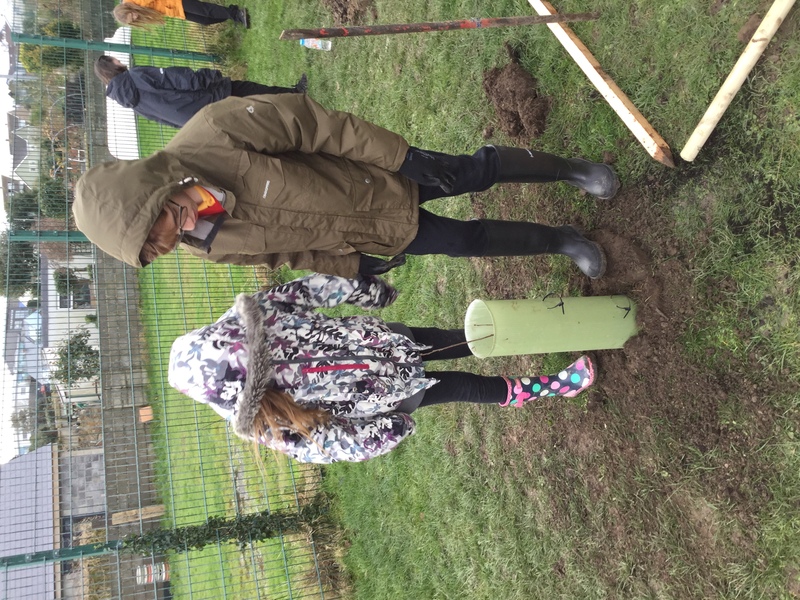 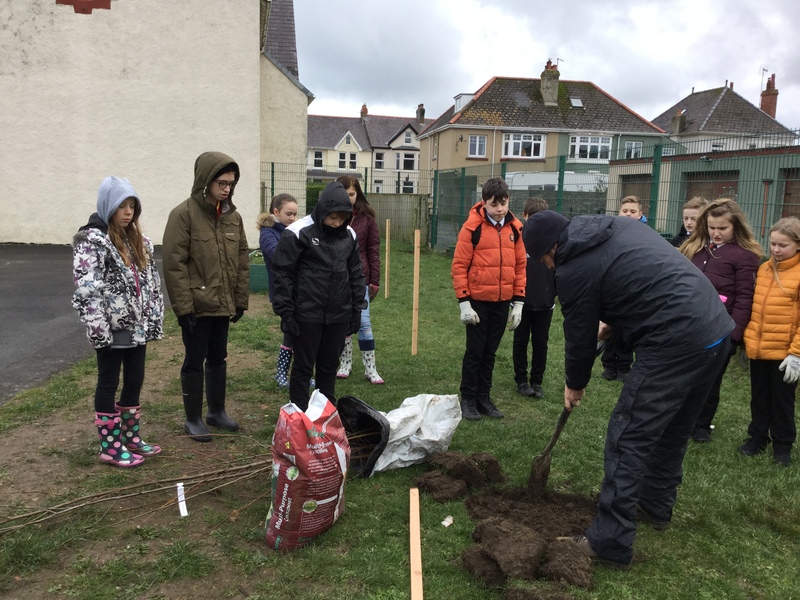 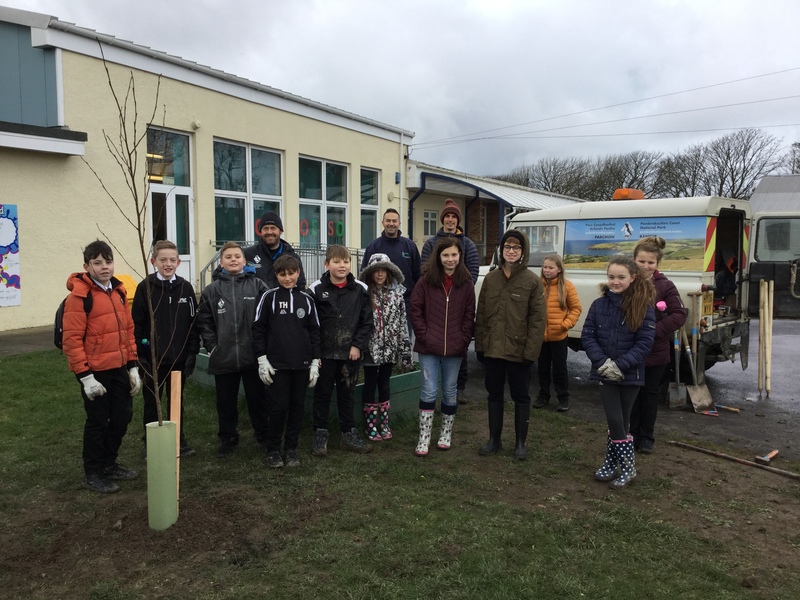 Today some of our Y6 pupils worked with PNCPA, Pembrokeshire Youth Services and pupils from Ysgol Bro Gwaun to plant some trees in our playground. 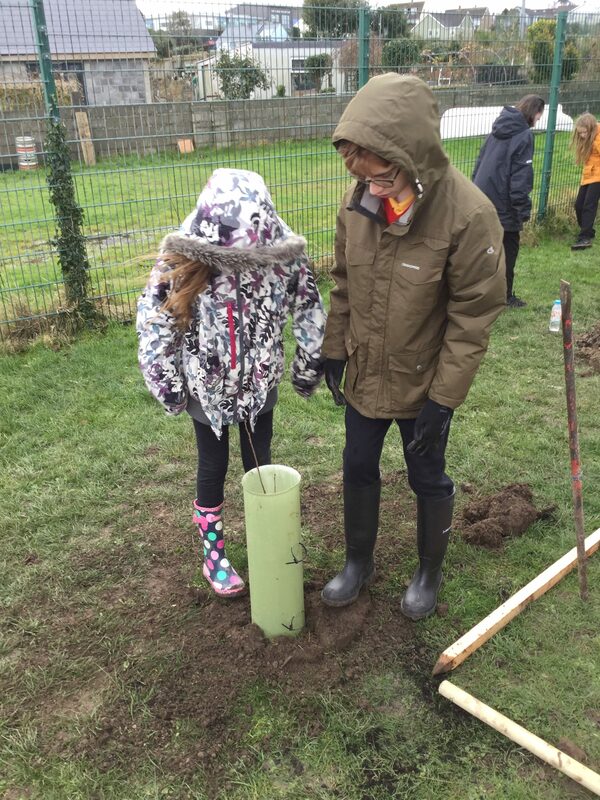 They planted some native trees that we hope will grow for us to enjoy in the future. 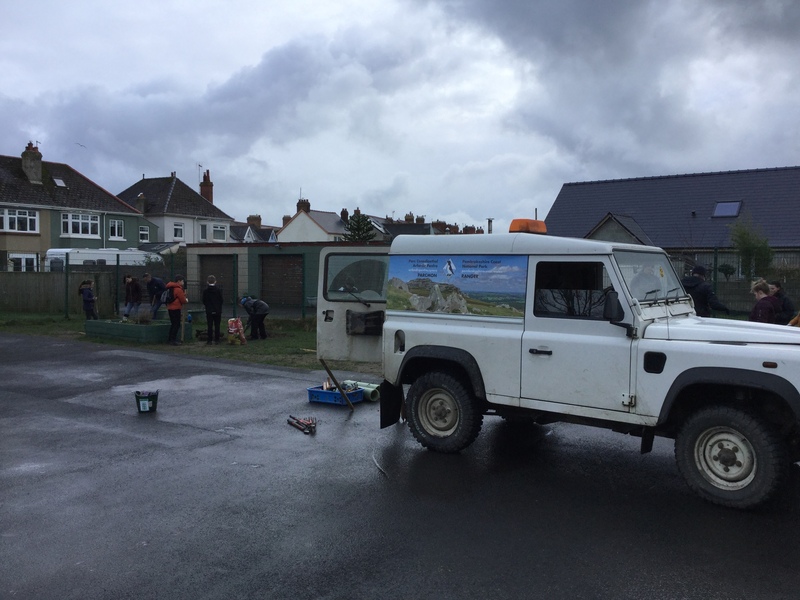 They will provide homes for wildlife and provide us with shelter from the sun. 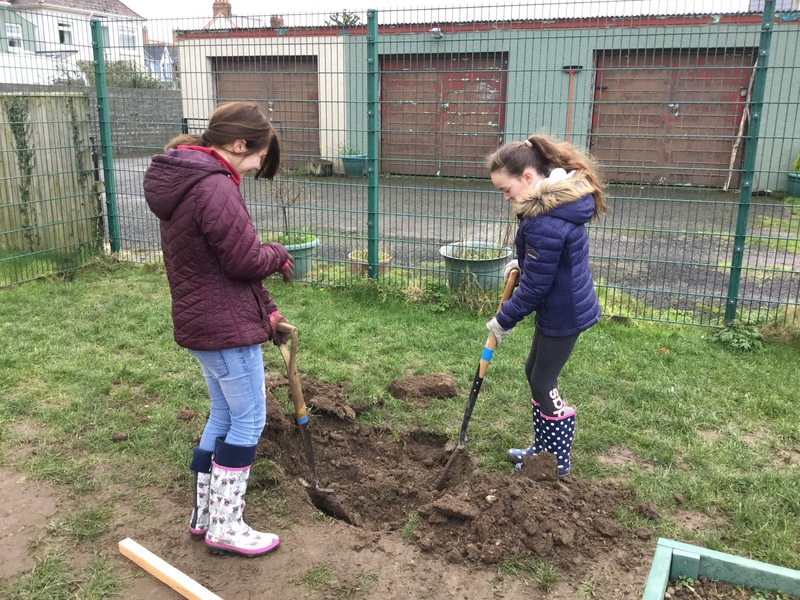 Despite the cold weather everyone worked really hard. 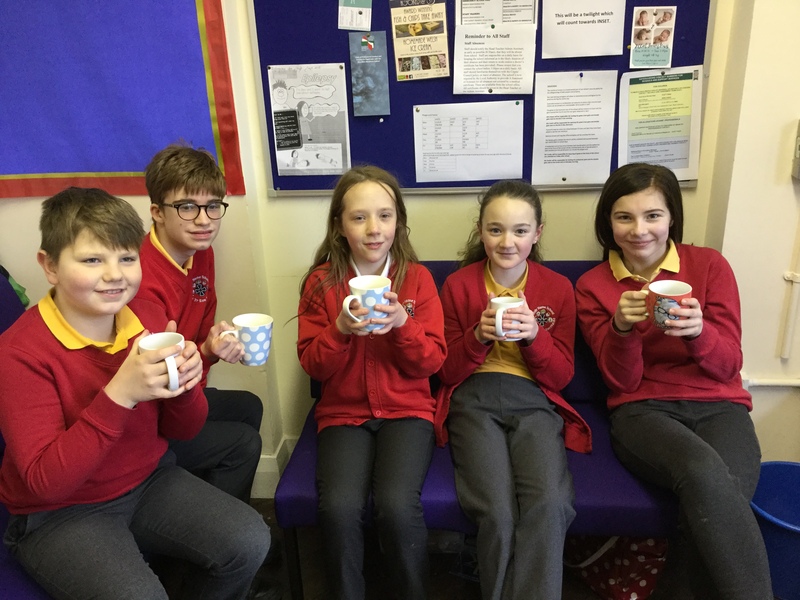 Here are our Year Six pupils warming up after their hard work.